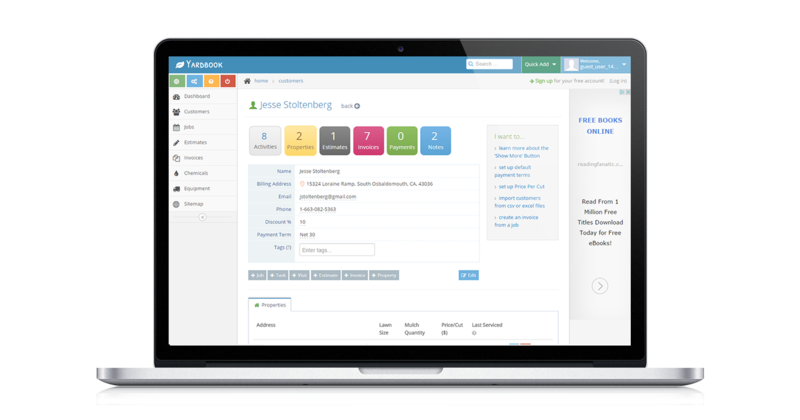 Manage Billing, and much more. Watch Video Join Today - Free! Get more business - Claim your Yardbook profile today! "The thing I like best about Yardbook is how easy it is to get started. I was able to learn the system without any training." "A very user friendly platform yet complex enough to handle all the details in running a business." "The guys at Yardbook clearly get software, and not only that, they understand customer service and the importance of interacting with their customers." "The program is very easy to understand and if you can't figure something out just send them a email and they will let you know how to resolve it very quickly which is hard to find in this day and age." "I had tried several programs but Yardbook was a perfect fit for my lawn care business. Easy to navigate and very professional looking invoices." "The program is straight forward and easy to learn. The customer service is second to none." 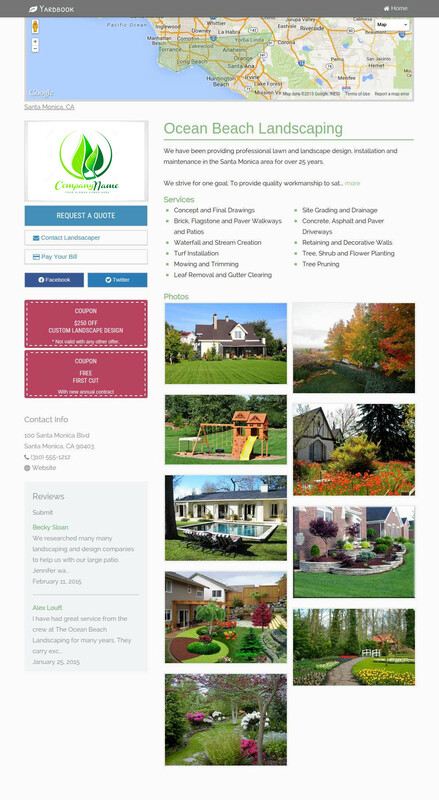 - North Florida Lawns and More Inc.
Yardbook Profiles are designed to attract customers. It only takes a few minutes to get your profile up and running. Create your profile and start getting more business today! 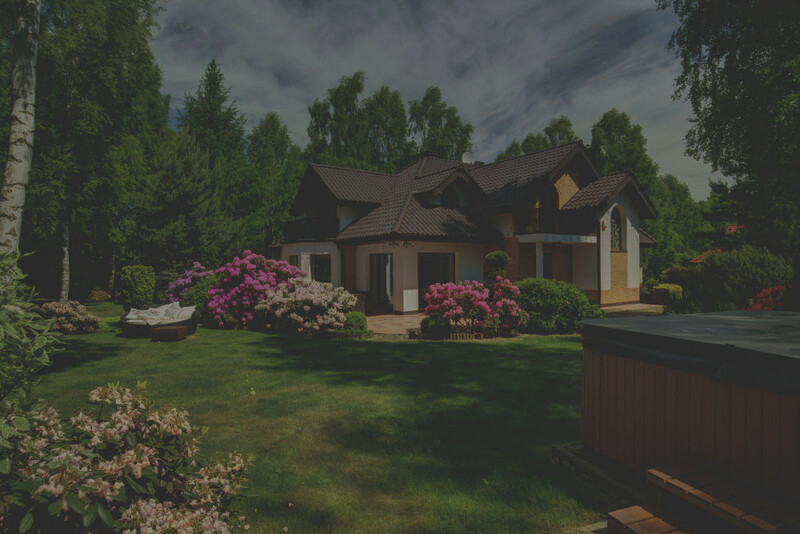 To provide landscapers with robust and easy-to-use online tools that empower them to efficiently grow their businesses and build long-lasting relationships with their customers. Yardbook is a FREE web-based application designed to help manage landscaping businesses.